Jack Dilanian is the chief commercial officer with Interfolio in Washington DC. Jack has held senior sales leadership positions in companies such as Blackboard, Intelliworks and Hobsons. Fred Diamond: You spent a good part of your career at companies such as Blackboard. Who’s your customer now? Tell us a little more about who you actually sell to. Jack Dilanian: Sure. If you look at the constituent that ultimately we are serving through our technology, it primarily starts with the faculty. We believe that they are at the core so everything that we’ve designed, whether it’s a promotion and tenure review platform or it’s a search and hire solution or it’s a platform that allows for faculty to curate their professional story via a destination environment for them to build out their CV’s, we believe they are the core. We also believe in order to serve faculty, you’ve got to be able to serve administration so we also obviously service those senior leaders on campus and they know it starts at primarily that provost level who ultimately is the chief academic officer for an institution and it percolates and permeates the entire organization. We serve HR, we serve institutional research, academic affairs, faculty affairs. 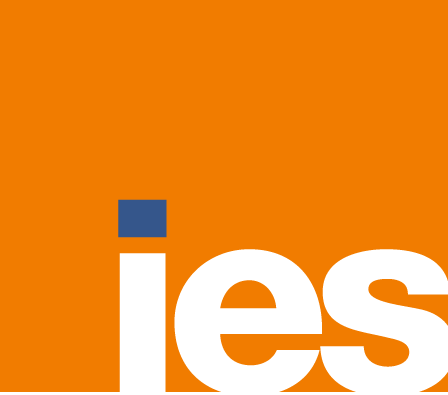 I think one of the really unique elements of our platform is that it is so pervasive in terms of the value proposition that we’re bringing to the various constituency across the university campus and so that is another value driver that excites me and makes me feel like we’re doing something compelling in the marketplace. Fred Diamond: You’ve held senior sales leadership positions along your career. Tell us a little bit about the beginning of your career, how did you first get into sales? Jack Dilanian: If I search my heart and soul, I really feel like I’ve been selling my whole life. I feel like I’ve been selling myself whether it’s to teachers or it’s to my parents or it’s to coaches or instructors to give me a chance in any given scenario. My first official selling job was probably working for my father’s business. He was a private business owner in Northern Virginia. He owned an automotive repair facility and he brought me in to essentially teach me the business and I gravitated not towards the operational running of the business but rather the marketing and sales arm of the business. In that capacity, ultimately I was out there trying to build new business relationships with large insurance companies, dealerships in the area that would ultimately send and contract with my dad’s business for repair work. That’s essentially my first foray into the world of sales working for the family business and it’s cultivated and grown from there. 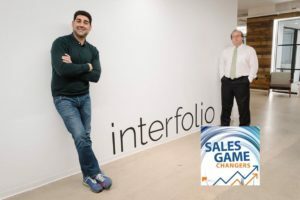 Fred Diamond: The answers we usually get on the Sales Game Changers podcast come in two forms: I’ve been selling my whole life since I was a teenager or at the age of 6 or I accidentally fell into sales, I was a consultant who liked to talk to customers and one thing led to another. You mentioned one of your first sales jobs was working in your father’s auto repair place. Auto repair or supply? Fred Diamond: What are some of the key lessons you learned from those jobs that have stuck with you today as you manage people, you manage sales leaders in trying to sell information technology? Jack Dilanian: If I think about my father, he’s always been an individual that has been proud of what he’s done. He prided himself on being an authentic leader to his organization as well as to the community and so taking pride in what we do as sales professionals I feel is really an important principle that I have to have and embody throughout my career. I’ve been lucky enough to have that as part of my mindset and approach. I would say it starts with a lot of that, doing the work. Doing the work, really building an intellectual capital, understanding my craft and the community that I’m trying to serve and hopefully that then translates into me coming off as authentic, consultative and knowledgeable about whatever product or problem I’m ultimately trying to solve. Fred Diamond: Let’s talk a little bit about you specifically. Jack, tell us what you are specifically an expert in. Tell us a little more about your specific area of brilliance. Jack Dilanian: As it relates to my area of brilliance, I think I’m just going to be straightforward: people. It’s knowing how to build authentic relationships through honest relationship building tactics with people. I feel like I’m relatively a passionate person, I’m an excitable person when I’m focused and zeroed in on something and I believe in a subject matter and or that problem I’m trying to solve and I believe that translates into a motivational skill set that traditionally permeates to the organizations that I’m lucky enough to serve. I’m relatively – I hope, humbly – at getting people excited about a vision, about a north start that we’re all working towards in unison. I guess that speaks to the fact that I’m a sales person at my core and the other element that I will say is I’m relatively good at solving problems by asking thoughtful questions that ultimately lead us to the answer. Those would be some of the skills that I may have. Fred Diamond: We talked before about how your company, Interfolio, builds a faculty information system and tying that back into your passion about what you do, what are you passionate about faculty? Is it faculty? Is it education? Most of your career has been selling ed-tech. Talk about what your why is, if you will, about the customer who you serve. Jack Dilanian: I think education is obviously where it all starts. I’ve been in education for 18 years, one could say that I’m a one trick pony but I would argue that I’m lucky enough to serve a specific category that I feel is really important and I’ve been lucky enough to be in positions where I can through leadership and salesmanship impact that category. As it relates to what am I passionate about, I ask myself a couple of questions whenever I look at my career and where I ultimately want to go with it: am I solving a problem that matters to the community I’m trying to serve? Can I get excited about that problem that I’m solving? Do I believe in the people that make up the team? Is what I want to call those individuals my colleagues? The culture that they’ve created, do I want to be a part of that culture? Do I think I can contribute to that culture? I think if I can answer those questions well while ultimately serving a community like faculty who are candidly underserved in education, I think they don’t necessarily have the technologies and the innovation being brought to them like others IE students and administration, you’ve got something special. I definitely as it relates to answering those questions regarding Interfolio and regarding solving a really unique problem for faculty, yeah. I think I can get passionate about what I do and I am passionate about what I do here. Fred Diamond: Once again, looking around the floor here as we’ve been walking into the room to do this interview, a lot of energy, lot of commitment to the cause and see people in rooms scribbling on whiteboards so it’s pretty high energy here. Jack Dilanian: It absolutely is, there’s a vibrant energy and I think everyone is very laser focused on creating this category, making a difference in education. Healthy, positive constructive disruption. That’s what our mantra is. Fred Diamond: Let’s go back to your career, who was an impactful sales career mentor and how did they impact you? Jack Dilanian: The two individuals that really come to mind are a gentleman by the name of Matthew Pittinsky who was the chairman and president of Blackboard. I remember early on when I was I think 23 years old he was essentially selling me on the vision of learning management technologies and the impact that the internet was going to have on education and one slide that he showed me that still to this day makes an impact on me is these two sumo wrestlers about to collide coming together. Essentially, it was the embodiment of the internet and education and the ripple effect that they were going to basically have on one another relative to how people consume information, how people learn, how people collaborate with each other and 20 years later we’re actually seeing all of this manifest and have for the past many years. I think he in terms of being a visionary and pushing that envelope and thinking about where we want to be not just next year but five years from now was probably one of the biggest impact players in my life. The other individual, a gentleman by the name of Todd Gibby who was the proverbial COO of Blackboard and then went on to be the CEO of a company called Intelliworks which I also ultimately worked for and worked under his tutelage. I think he probably was one of those authentic, motivational leaders that have really impacted me. He cared about people, he cared about making a difference, he always taught me to listen more than speaking, he helped me to professionally grow up throughout my career and truly understand the difference between leadership and management and be purposeful about understanding those differences and ultimately embodying them day in and day out. I think those two individuals were amazing impact players for me. Fred Diamond: What are the two biggest challenges you face today as a sales leader? Jack Dilanian: I have traditionally made it a practice to work with organizations that are in the early stage of their growth career and trajectory. When you’re an early stage organization, you’re scrappy. You are going well beyond your job specification and or description. You’re a Jack of many trades, hopefully a master of as many of them as you possibly can. You’ve got to be constantly thinking about tomorrow making sure that you hit those numbers and those goals within that near sight line but also need to be thinking about how do you build an organization that can scale for the future and how do you balance that near term versus long term planning, and how do you do that, quite frankly, with an environment that’s got to be physically sound and you’ve got to be fiduciary responsible to your shareholders and the dollars that you have need to have some significant ROI behind them. Every hire matters that much more, every coaching opportunity whether it’s a team member or whatnot is that much more important. Balancing the long term and the short term within an early stage environment is challenging but it’s also equally as rewarding, I would say. Fred Diamond: Jack, take us back through your career. What is the #1 specific sale success or win from your career that you’re most proud of? Jack, take us back to that moment. Jack Dilanian: Without question. It’s been the teams that I’ve been able to build. I think if you looked at the Blackboard sales team in the early 2000 era is one of the biggest, prominent education technology sales teams in the world. It helped build Blackboard to a multi-billion dollar organization. The culture, the comradery, the competitiveness, the transparency. It was amazing, it was actually palpable in terms of the energy that we had and the relationships that we still maintain with one another over the years. People I remember actually wanted to buy from Blackboard because they were fun, they were fun to interact with, they were fun to work with, they were smart and they wanted to be a part of the family as a result of that. I think if I think about the sales cultures and the teams and the synergy that we were able to build whether it was Blackboard, Interfolio, Intelliworks, it’s the people that I would say is what I’ve been able to be the most proud of over the years. Fred Diamond: You’ve had a very successful career. Did you ever question being in sales? Again, you mentioned that you believe you were in sales roles way back from when you worked with your father in his auto repair store. Was there ever a moment where you thought to yourself, “It’s just too hard, it’s just not for me”? Jack Dilanian: I would have to say no, for the most part. I think there was a time when I had left Blackboard after about almost 10 years, I felt like it was one of my only opportunities to potentially make a foray outside of education technology and so at that time and currently even today my family was invested in commercial real estate. I figured, “Wow, what a nice opportunity to do something different, push myself, learn.” So I made a run at becoming a commercial real estate agent and I will tell you, that is a tough racket. I was given a desk, I was given a phone book and a phone and maybe a pat on the back but I don’t even know if I got that. I went from, obviously, this amazing group of people, this multi-billion dollar education company that became a powerhouse in the space of learning management to a desk with a phone in a foreign industry that I was trying to learn. I would say that that was the one time where I felt like that was a bit too tough for me and I will say I veered right back to education shortly thereafter and it’s been an amazing run since. Are there days where it’s hard? I need to motivate myself to get up and get in there. Todd and I in the early days of Intelliworks, we used to call them five slappers, like where you had to just slap yourself a couple of times to get going when we were an early stage scrappy company back then. But when you think about the team, when you think about the mission, what you’re trying to do and all those individuals that are dependent on you, whether it’s the market or your colleagues, you get motivated and you get in there and you get through the grind. That’s been my approach. Jack Dilanian: I would say: assume you don’t know much about the topic and or the industry when you walk in the door. Assume that there are a lot of really smart people, successful people within the organization that you’re ultimately lucky enough to be a part of. Ask questions, listen, learn. Try and learn every day. Push yourself to try and learn something new every day. I was very lucky in my career in that I identified mentors and coaches that I immediately gravitated towards, whether it was Michael Chason or it was Todd Gibby or even Andrew Rosen, our CEO here. I spent time asking them questions, following them around, asking for life lessons and I did my best to listen and talk less. I think if you can do those things while also being authentic and just doing the work to really build your intellectual capital and build a proficiency, I think you can come off as a consultative expert and leader in your space. But it’s going to take some time, be patient, it’s not going to happen overnight. It takes time to onboard and ramp, that’s why we allocate an onboarding program and we give quarter relief to new sales professionals that are coming on board so don’t get frustrated, continue to do the work and it’s going to happen. Success will be there for you. Fred Diamond: Ask questions, talk to the mentors, understand and be humble. What are some things that you do, Jack, to sharpen your saw and stay fresh? Jack Dilanian: Time away from the job. I will actually be very purposeful about getting first of all my team together outside the walls of the organization. We’ll do off sites and in many cases when we do those off site meetings it’s about building team rapport. It’s about professional development, so I really want to invest both in myself and my people to help us professionally grow. That may not mean sales skill or competency, it could be leadership, it could be other types of skills and competencies and real life experiences that help us become more well-rounded professionals. Education, I try and whether if I’m lucky enough to have my company supplement that for me and or I do it on my own. I will try and sign up for an executive education class of some sort whether it’s at a local college or somewhere else throughout the country but I really look at topics that I care about and areas where I would like to grow professionally. It could be literally finance 101 and whatever that may be, and I go and will sign up on those courses and do them on my own time and or take some time away from work. I consistently try and take vacations at least twice a year if not three times a year. Every 90 to 120 days I like to take some time off and just recharge. Jack Dilanian: I think we talked about this earlier, we’re an organization called Interfolio. It’s an early stage organization. We’re trying to be mindful of where we’re headed in terms of our north star, in terms of that future that we’re trying to build towards but also tactically executing day in and day out in the near term. It’s working on those initiatives and balancing between the two that’s keeping me up at night and keeping me focused. Fred Diamond: Jack, sales is hard. People don’t return your calls or your emails. Why have you continued? What is it about sales as a career that keeps you going? Jack Dilanian: Fundamentally, I believe what I do matters. I believe along with the support of many others that I call my colleagues, I solve problems and that drives me. Making an impact in whatever market I serve, ideally through thoughtful disruption is fun for me. It’s also what I know I’m good at. I believe people should do what they’re good at and so that’s what really keeps me going day in and day out. Fred Diamond: “I believe what I do matters”. Man, that is pretty powerful. Why don’t you give us one final thought on how the Sales Game Changers listening today can be inspired? Jack Dilanian: Be proud of your profession.You bring solutions to bear that solve real problems that matter to many, and that should matter to you. I don’t care what the product is, if it’s a solution that actually solves a problem, that helps people and it’s most fundamental whether it’s faculty information or it’s learning management or it’s cell phone technology or whatever that may be, you’re doing good. You’re actually providing a service and helping people, and so you should be as a result proud of your profession. Be confident in what you do and have that confidence and pride be exemplified in the work and the product that you produce day in and day out.